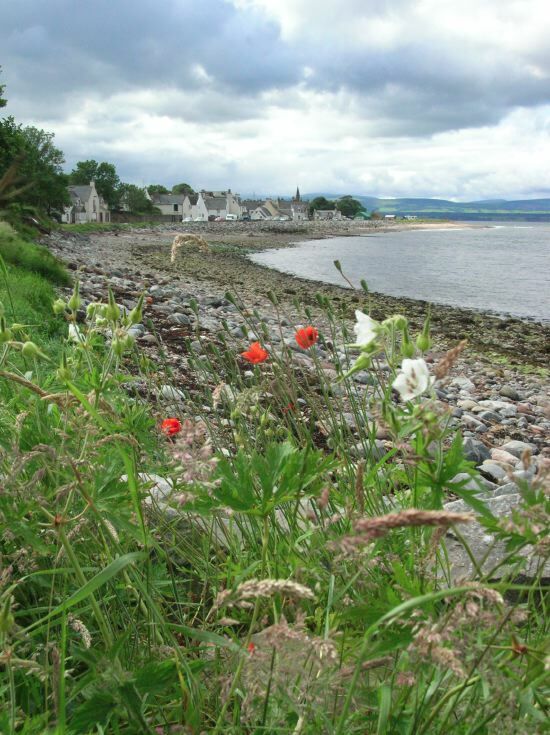 Cromarty is a very pretty little town situated at the north east end of the Black Isle peninsula, only some 20 miles from Inverness. It is a former burgh, and historically an important seaport, though these days provides services mostly for fishing boats and pleasure craft. 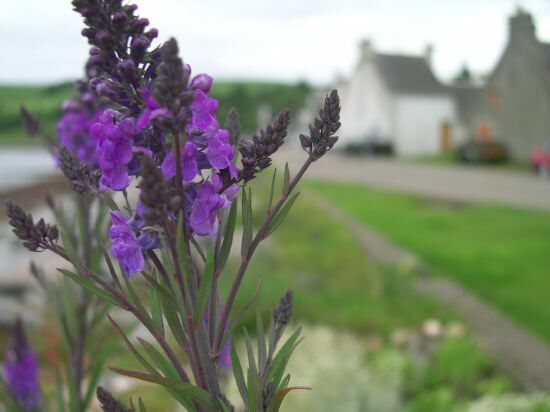 Cromarty is architecturally very important, having more conservation ‘listed’ buildings than any other town in the north. In the maze-like streets of the old fishertown there are several very fine merchants houses built in the 18th and early 19th centuries. 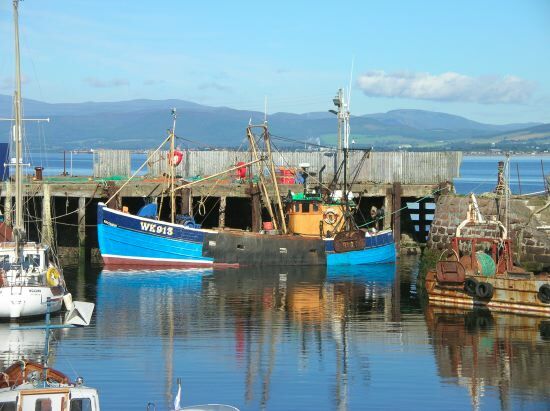 Situated at the mouth of the Cromarty Firth in the wider Moray Firth area, the town is an excellent base form which to take seafishing or wildlife boat trips. 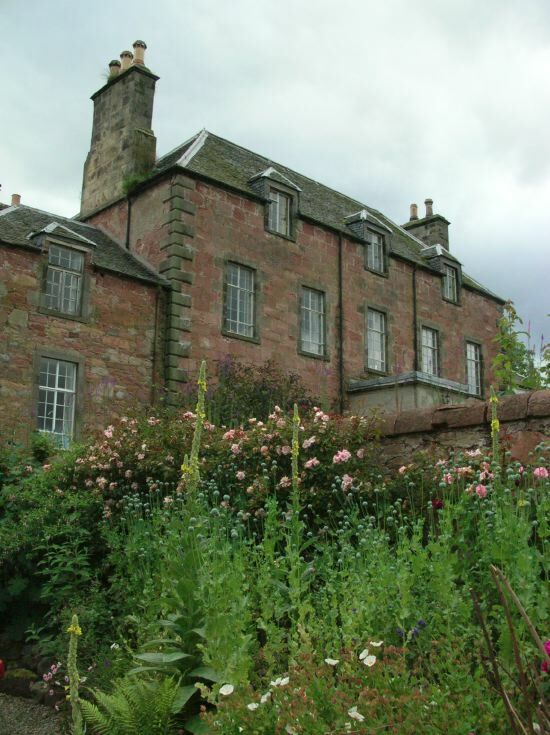 It is also renowned for being an excellent place to view the most northerly colony of Bottlenose Dolphins, which are studied by University of Aberdeen department of zoology based at the old lighthouse field station in Cromarty. 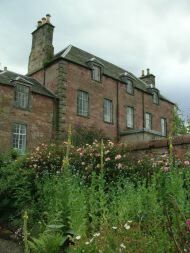 One of the historic merchants houses in Cromarty Fishertown. 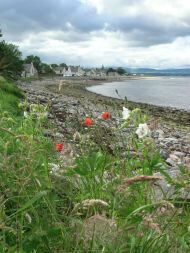 A view towards the town from the shingle beach to the east. 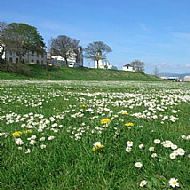 An area of open grassland in the town. Perfect for picnics and dog walking. Although the town is clean and tidy, ther'es still a place for wild flowers. 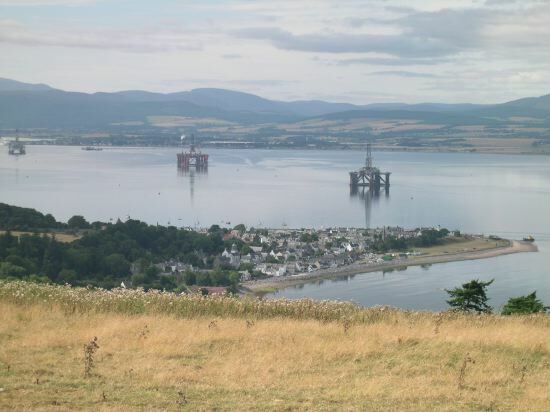 A view towards Cromarty from the South Sutor, one of the headlands at the entrance to the firth. Though no longer an important port, the old harbour still accommodates fishing and pleasure craft.